The client is based out of Melbourne, Australia and is an eminent engineering consulting & design services company operating since the last decade & half. With multiple locations situated across the continent, the client works with various industries, including Mining, Agriculture, Manufacturing, Rolling Stock, Engineering, Defense, and Government. The client has got a strong customer base with a number of top projects in construction and consulting. As a top Manufacturing and Mining Engineering services firm, the client offers mechanical designs for some of the most complicated equipment in the manufacturing industry. The client was looking for an experienced engineering support services provider with a track record of providing engineering designs within the stipulated period and met their safety and budgetary requirements. The client needed design support for preparing sheet metal cabinets for industrial purposes and required designs suitable to the specific industry. The challenged included carrying out each drawing in a unique manner while meeting safety and industry standards. Since the project was urgent, it required ramping up of skilled resources to ensure the project was delivered on time. Outsource2india has two-decades of experience in providing modeling and drafting design support for various complex equipment and machinery as well as carrying out complex AutoCAD conversion projects at an affordable price. O2I has a strong and skilled team of 3D modeling specialists who understand the requirement well and adapt to client needs on a faster scale. For this project, a team of four skilled 3D modelers and a quality analyst were employed to ensure high-quality project delivery. The team adopted a proper communication strategy that ensured the client was kept in the loop and 300 cabinet designs were delivered in five weeks. Outsource2india is one of the leading 3D modeling and rendering services provider with world-class engineering labs to assure high-quality project submission to global clients. Working as an extension to the client’s in-house team, O2I offers efficient, quick, and cost-effective solutions to meet varied engineering requirements. 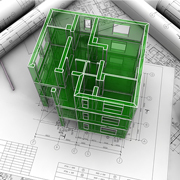 Contact O2I for 3D modeling and drafting services and get highly accurate and affordable services.